For the superyacht owner seeking to explore unspoilt tropical islands with unchanged customs and traditions and a destination and no any tourist activity, nothing can match the Fijian Lau group of islands. Known as the ‘Exploring Islands’, a handful of superyachts only have discovered the cultural adventures of the Lau Islands. 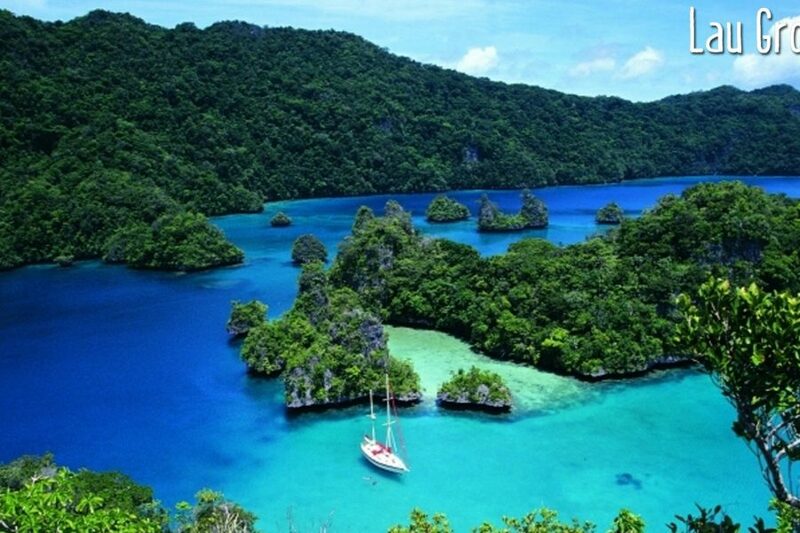 The remote eastern group of islands, the Lau group, are among the most exciting cruising destinations of all time. The Lau Group made up of a few small islands in Fiji's Far East, offer a glimpse of Fiji often not seen by visitors. Life here is simple and somewhat wild – there are no restaurants, and only three islands have accommodation for outsiders. Forbes magazine listed the Lau group as one of the ‘Top 12 World’s Most Beautiful Places’, selecting the Lau Archipelago for its ‘mind-blowing array of marine life and gentle, carefree vibe’. There is no tourism, and it is very much open-ocean sailing between the islands with Northern and Southern Lau remote areas away from any tourist track; no shopping, no stores, no resorts. Instead, gorgeous scenery, great fishing & diving and unique cultural experiences can be found. The Fijians of this region follow a subsistence lifestyle that is not substantially changed from that of their ancestors. Fiji is unique in that among its many groups of islands, each has its own culture, identity and attractions. Cruising the Lau group is one of the best ways to experience these cultural attractions. Now it’s possible to share in unique cultural events in the Lau group of islands with the help of a knowledgeable superyacht agent, who can also advise navigable passes to some of these islands. Visiting the Lau group of islands means discovering a paradise carpeted by verdant tropical foliage and made of limestone - instead of the volcanic rock predominant on other Fiji Islands. These are dramatic mushroom-shaped islands, some rising to 1,000 feet which were created from the sea eroding away the limestone base. Other than the Lau group, this unusual limestone formation is only found at Vava’u in Tonga and Palau in Micronesia. The Tongan influence is also reflected in the culture of the Lau Islands, the southern islands being nearer to Tonga than Fiji. The Lau group lies to the east of the main Fijian islands and comprises some fifty islands, islets and atolls of which about thirty are inhabited and stretch north to south for a distance of some 250 miles. A minimum of two weeks is recommended for a one way cruise through the group. To support the voyage Asia Pacific Superyachts Fiji managing director, Dave Jamieson, can assist in safe navigation, itinerary planning, culture guidance and all services desired before arrival at Fiji’s world class Port Denarau and throughout the cruising journey and departure. Captain Dave can seek an invitation for the superyacht owner and guests to join some of the unique cultural activities in the Lau group: “Once an invitation to the ‘Kava Ceremony’, a special cultural event, is in place… it’s important to start off on the right foot with local culture”. Following the gift-bearing, an ancient ritual known as Sevu Sevu begins, usually taking place in the village longhouse where the visitors sit on the floor opposite the Ratu and his elders. The Ratu appoints a spokesman to speak for the visitors as the entire proceedings are held in the Fijian language. 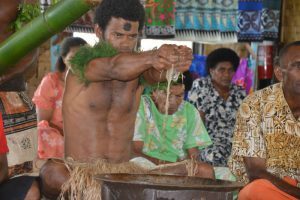 The spokesman ceremoniously requests the Ratu to accept your gift of kava and the Ratu places his hands on the gift and thanks the visitors. All present clap three times. You are now officially the guest of the village… hooray! The Ratu will then conduct the small group on a tour of the village (removing footwear before entering a house to be respectful). Following the walk around the village with the Ratu all are free to explore the island. This is also the time to anchor on its picturesque shores, perhaps taking the time to dive and snorkel on the beautiful Lau coral reefs, filled with colourful marine life. The villagers will alert you if they put on a Lovo, a feast in which the whole village will participate along with superyacht guests. Meat, fish and vegetables are wrapped in large banana tree leaves and cooked to a delicious succulence in an earth oven covered over with hot rocks at the Lovo. 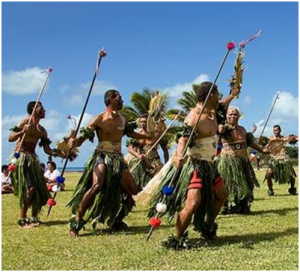 A Meke may follow, whereby all the men, women and children take part in traditional dancing and singing the melodic and hauntingly beautiful songs of the islands, a memorable and unique experience. It’s even easier for superyachts to visit the Fiji and the Lau group due to the ‘Super Yacht Decree’, passed in 2010 by the Government, whereby superyachts are free to charter in Fiji for up to a year. The Yachting Decree has made Fiji an attractive and hassle-free destination for yachts and superyachts entering the country to enjoy numerous safe anchorages and beautiful lagoons and the cruising destinations within. Also of note, those wishing to join their vessel already in situ in the Lau Islands can fly from Nadi to landing strips on three islands in the Lau group and equipment, spare parts and provision can be delivered from Port Denarau to these airstrips within 24 hours.